Grits the Dog – Tell my story. The Internet says today is National Puppy Day, and with that, I give you a little story about a dog in Emmett’s life, named Grits. 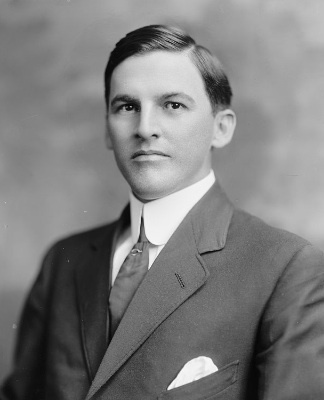 While Emmett attended Stetson University from 1902 to 1904, it turns out that he had group ownership of a yellow Labrador Retriever/pit bull terrier mix. The dog was similar to the one in the photo, below. Grits was the mascot and house pet of the residents of East Hall. More on East Hall and their mascot, “Grits.” Source: The Stetson Collegiate, April 1903. East Hall housed between 12-15 men enrolled in Stetson’s law school. Apparently, it wasn’t uncommon for the dorm residents to adopt a dog or cat. It doesn’t look like “Grits” belonged specifically to Emmett, or to any one of the residents, but would likely have been left behind when the students left campus for summer vacation. Emmett only spent that one semester (Spring 1902) as a resident of East Hall; he spent the remainder of his time living in an off-campus boarding house on Rich Avenue, and commuting (either on his bicycle or walking the three or four blocks) to his daily classes. I doubt that Emmett’s landlady would have allowed Emmett a dog while at the boarding house on Rich Avenue. It isn’t clear if Emmett had pets growing up, but it seems likely he had dogs, as he would go hunting and fishing with his brothers. While he was living with Cephas in Marianna, there was definitely a family dog in residence. There’s something about realizing Emmett liked dogs and had pets that appeals to me. So much of the research into his story has revealed a lot of sadness and disconnection from important personal relationships in his short life. Thinking about Emmett spending time with a beloved dog, enjoying time spent with a companion pet, is comforting.